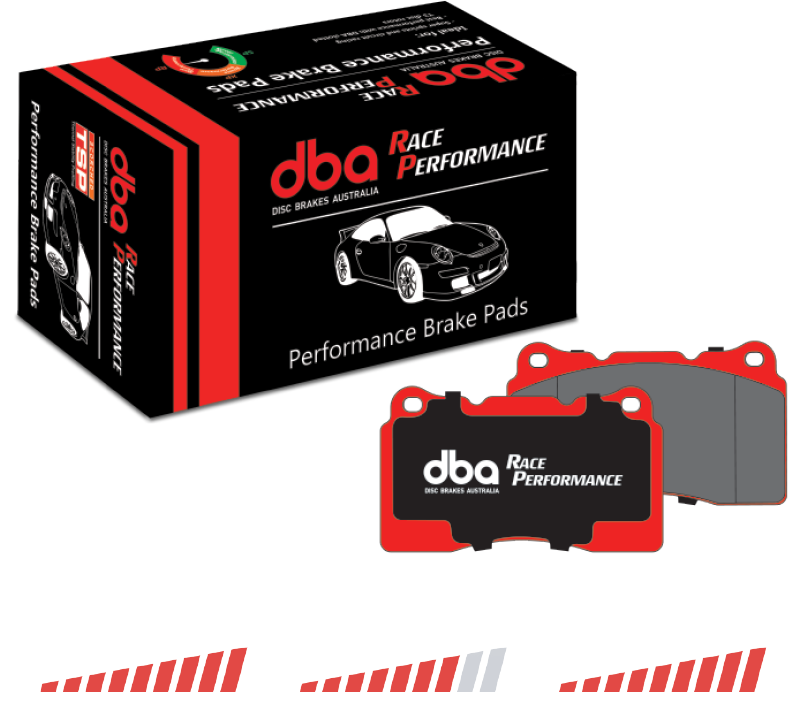 DBA’s Race Performance brake pads are designed for track/circuit use, where temperatures are above 350ºC (662ºF). This pad is enhanced with carbon fibre for high strength and offers stable friction at temperatures above 630ºC (1166ºF). The RP range is recommended for super sprints, circuit racing, and extreme temperature applications. DBA recommends using these brake pads with DBA T3 slotted, 4000 and 5000 Series rotors for maximum braking performance and consistency. DBA does not recommend the RP range for road use. DBA Street Performance part numbers are denoted by the suffix (RP).